Muthu Kumara Swamy is an Indian Actor and director, who is working in Tamil film and television industry. He was born in Chennai, Tamil Nadu. Kumar made his acting debut in the Tamil television serial “Nadhaswaram” along with Srithika, directed by Thirumurugan and produced by Thiru Pictures. He also acted with well-known actresses like Siva Ranjani, Sangavi, Santhoshi and Reshma Pasupuleti. He has appeared in some well-known television serials such as Then Nilavu and Maragatha Veenai. His performances in many films were lauded especially in “Sagakkal” which was one of the Best films of the year 2011. 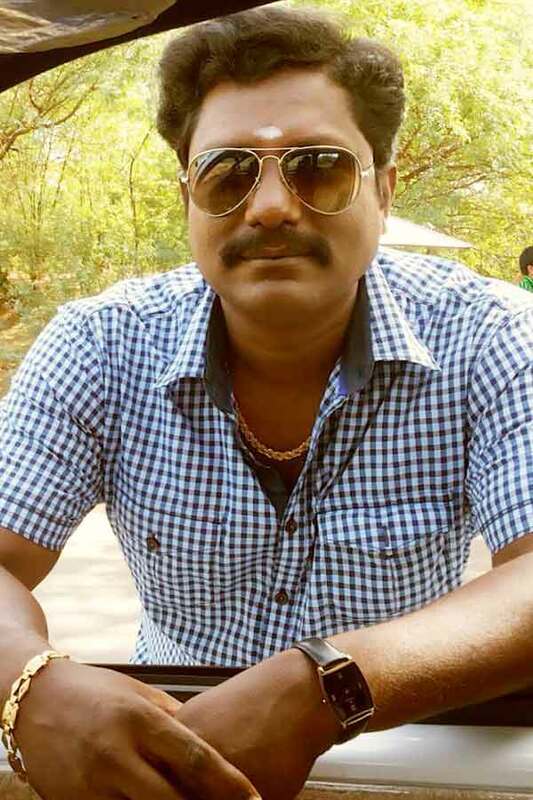 Muthukumaraswamy currently doing the negative role in Kalyana Veedu serial along with Benze in Sun TV. Muthu Kumara Swamy as Raman role in Kalyana Veedu serial. Muthu Kumara Swamy as Ram role in Then Nilavu serial. Nadhaswaram, Then Nilavu, Maragatha Veenai, Kalyana Veedu.